NHL left winger and longtime Philadelphia Flyer who won the Stanley Cup with the Los Angeles Kings in 2012. 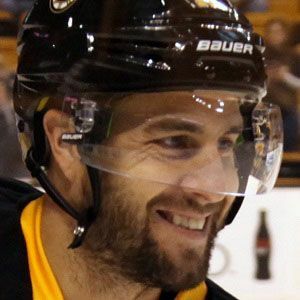 He played for the Beauport Harfangs and Quebec Remparts in the Quebec Major Junior Hockey League. He won a gold medal at the 2002 Olympics while representing Canada. His first child, Matthew, was born in 2009. He won the Stanley Cup alongside Kings goaltender Jonathan Quick in 2012.